Completion of first year requirements with no failures. Students must have an average of at least 70% and no mark less than 60% in the 3.0 principal courses. 1.0 course* from Geography 1100, Geography 1300A/B, Geography 1400F/G, Geography 1500F/G, or Environmental Science 1021F/G, (with Geography 1300A/B recommended). 2.0 courses numbered 1000-1999 from the Faculty of Science (which may include Environmental Science 1021F/G if not used above) but may not include Astronomy 1011A/B, Astronomy 1021, Biology 1225, Biology 1229A/B, Biology 1290B, Chemistry 1027A/B, Computer Science 1011A/B, Computer Science 1032A/B, Computer Science 1033A/B, Earth Sciences 1086F/G, Earth Sciences 1089F/G, Mathematics 0110A/B, Physics 1021, the former Earth Sciences 1088F/G. 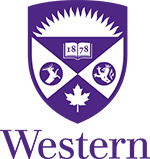 1.0 additional course numbered 1000-1999 from the Faculty of Science (which may include Environmental Science 1021F/G if not used above) but may not include Astronomy 1011A/B, Astronomy 1021, Biology 1225, Biology 1229A/B, Biology 1290B, Chemistry 1027A/B, Computer Science 1011A/B, Computer Science 1032A/B, Computer Science 1033A/B, Earth Sciences 1086F/G, Earth Sciences 1089F/G, Mathematics 0110A/B, Physics 1021, the former Earth Sciences 1088F/G. 1.5 courses from: Geography 2220A/B, Geography 2230A/B, Geography 2240A/B, Geography 3250A/B or the former Geography 2250A/B. 1.0 course from: Geography 2410A/B, Geography 2411F/G, Geography 2420A/B, Geography 2430A/B, Geography 2450F/G, Geography 2460F/G. 1.0 course from: Geography 2310A/B, Geography 2320A/B, Geography 2330A/B, the former Geography 2340A/B. 1.0 courses: Geography 3210A/B, Geography 4000A/B. 0.5 course from: Geography courses numbered 2000 to 2099. 4.5 courses in Geography at the 2200 level or above, at least 3.0 of which must be at 3000 level or above, with Geography 3000Y or Geography 3001F/G strongly recommended, and where 2.0 courses must be taken from the following list of Science-equivalent courses. (Students wishing to pursue Graduate Studies are encouraged to take Geography 4901E). * If an antirequisite statistics course has been taken instead, then the module will be 9.5 courses. 1. To qualify for the BSc degree 11.0 Science and/or Science-equivalent courses are required. 2. When taken within this module, the following Geography courses count towards meeting the requirement of 11.0 Science courses in a 4-Year BSc: Geography 2131A/B, Geography 2210A/B, Geography 2220A/B, Geography 2230A/B, Geography 2240A/B, Geography 2310A/B, Geography 2320A/B, Geography 2330A/B, Geography 3210A/B, Geography 3211A/B, Geography 3221A/B, Geography 3222A/B, Geography 3223A/B, Geography 3231A/B, Geography 3260A/B, Geography 3311A/B, Geography 3333A/B, Geography 3334A/B, Geography 3341A/B, Geography 3342A/B, Geography 3343A/B, Geography 3350A/B, Geography 3352A/B, Geography 4901E, the former Geography 2122A/B, the former Geography 2340A/B, the former Geography 3241A/B, the former Geography 3312A/B, the former Geography 3321A/B, the former Geography 3331A/B, the former Geography 3332A/B, the former Geography 3351A/B.